John Norton was born on 25 January 1858 at Brighton, England, the only son of stonemason John Norton and his wife Mary Margaret, née Lynch. His father died before his birth and he was raised by his stepfather Benjamin Herring. He married Ada McGrath (d.1960) at St James Church Sydney on 29 April 1897 (separated in 1915) and had a son Ezra and a daughter Joan. He died on 9 April 1916 at Melbourne, Victoria, and was buried in the Anglican section of South Head Cemetery. Norton claimed to have been Private Secretary to Sir Edward James Reed, marine architect, and also a journalist on the Levant Herald in Constantinople, before arriving in Sydney on the Haverton on 5 April 1884. He became the chief reporter on the Evening News and, in 1889, editor of the Newcastle Morning Herald. He was later dismissed for drunkenness. He joined Truth, a weekly journal of sport, crime and controversial issues, becoming editor and part-owner in 1891. In 1896 he bought Truth and increased its circulation and indeed libel actions by making it even more of a sensationalist and reformist newspaper. From 1900 he published local editions in other States. A brilliant but abusive man, he was known for alcoholic excess, lecherous behaviour, and muck-raking journalism. Norton was a member of the Republican Union and the Sydney School of Arts Debating Society. He was the Secretary of the Chamber of Manufactures in 1893. He was an obsessive collector of Napoleana and named his Maroubra house St Helena. 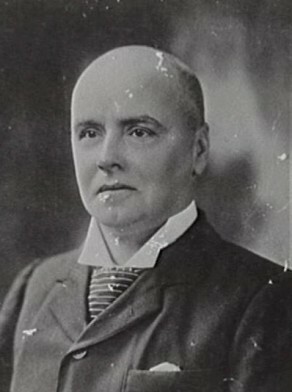 Norton was elected MLA as a Protectionist for Sydney-Fitzroy in 1898, as an Independent for Northumberland, 1899-1904, for Surry Hills, 1904-06, and for Darling Harbour, 1907-10. Norton was Alderman of the Sydney City Council for Phillip Ward, 1 May 1898 to 30 November 1898, for Cook Ward 1 December 1898 to6 December 1900, and for Flinders Ward 1 December 1904 to 30 November 1906. Between 1899 and 1900 he was a member of the Finance Committee and the Works Committee. In 1905 he was a member of the Fish Market Inquiry. Michael Cannon, ‘Norton, John (1858–1916)’, Australian Dictionary of Biography, National Centre of Biography, Australian National University, http://adb.anu.edu.au/biography/norton-john-7863/text13663, accessed 13 December 2012.